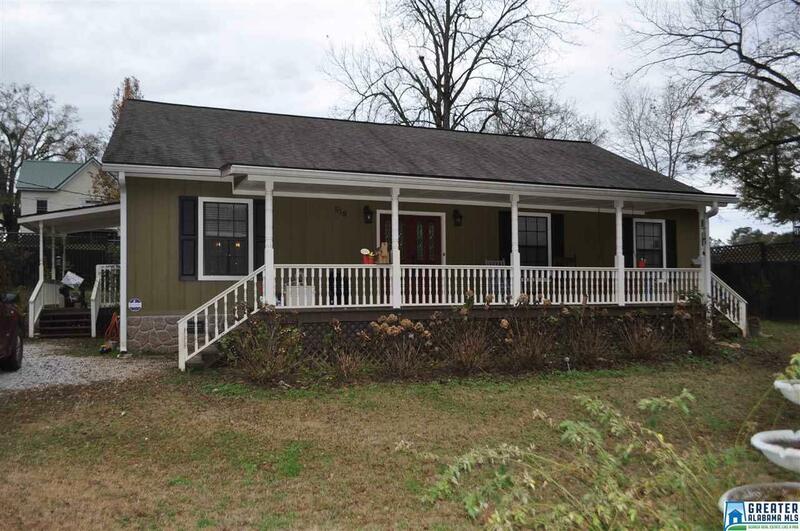 Country Style Cottage Located in Town,Just Minutes from Lake Wedowee. This charming home offers an open floor plan with oversized family room, gourmet kitchen with all stainless steel appliances, lots of cabinets,large breakfast bar/island, and dining area with built-in hutch. Master bedroom with master bath, ceramic tile tub shower, and walk-in closet. Two additional bedrooms and bathroom with built in entertainment center /shelves. Hardwood laminate throughout, recessed lighting, and ceramic tile. Off the kitchen is a screened porch, (recently re-screened),office/tanning room, and patio. Also located on property is 2-story building used for storage but can be easily converted to a mother-n-law suite or small apartment. An additional storage building and privacy fencing. This home will qualify for FHA, Va, USDA, and conventional loans. Driving Directions: From Downtown Wedowee Turn Onto Woodland Avenue And Property Is On The Left.